CXXX, 498 p., 17,4 x 25,0 cm. With a preface by Gerhard Wehr. 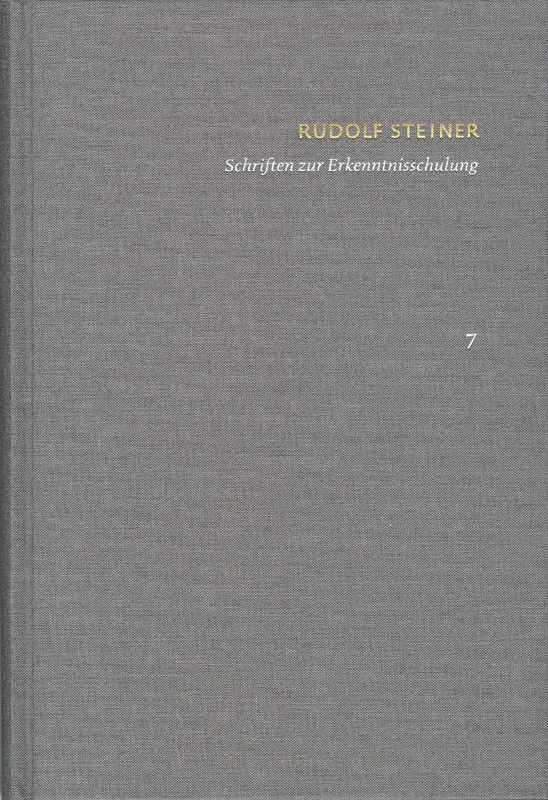 Volume 7 contains Steiner’s writings about meditative work and his theory of three modes of advanced or »supersensible« cognition: imagination, inspiration and intuition. A critical apparatus documents the rich textual evolution of these writings while introduction and commentary position them within the context of the authors work as a whole, the Christian and Theosophist traditions of meditation and spiritual exercise and the psychodynamic theories of Sigmund Freud and C. G. Jung (which emerged roughly at the same time). Another appeal of the volume is that these writings on cognitive development are presented for the first time within the context of Steiner’s little known experiments with masonic ritual between 1905 and 1914. An appendix presents letters and internal documents that document his work as spiritual teacher within what was then the Esoteric School of the Theosophical Society.